President Richard Nixon's State of the World speech from 1971 talking about SALT negotiations and the state of world peace. 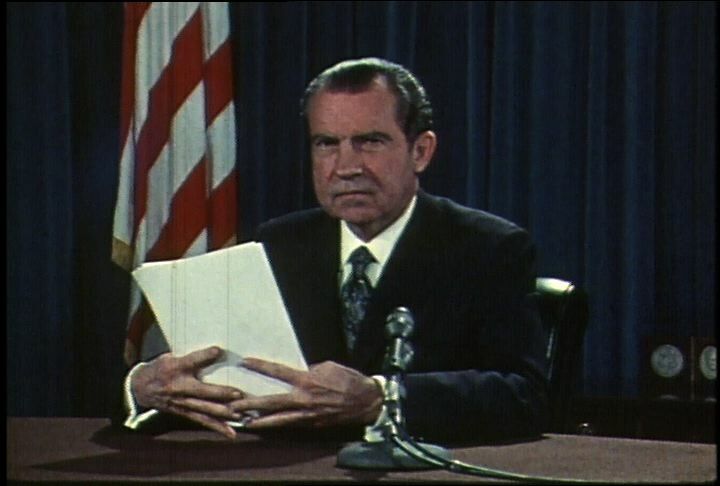 Chicago: “War and Peace in the Nuclear Age; One Step Forward; President Richard Nixon Radio Speech: State of the World, 1971,” 02/25/1971, WGBH Media Library & Archives, accessed April 23, 2019, http://openvault.wgbh.org/catalog/V_83966B92AC5E4874B4100A840DD441BD. MLA: “War and Peace in the Nuclear Age; One Step Forward; President Richard Nixon Radio Speech: State of the World, 1971.” 02/25/1971. WGBH Media Library & Archives. Web. April 23, 2019. <http://openvault.wgbh.org/catalog/V_83966B92AC5E4874B4100A840DD441BD>.